Software architecture is a massive multidisciplinary subject, covering many roles and responsibilities, which makes it challenging to teach because so much context is required for every subject. It's also a fast-moving discipline, where entire suites of best practices become obsolete overnight. The O'Reilly Software Architecture Conference is designed to provide the necessary professional training that software architects and aspiring software architects need to succeed. A unique event, it covers the full scope of a software architect's job, from IT to leadership and business skills. It also provides a forum for networking and hearing what other professionals have learned in real-world experiences. In his current role, Asanka drives efforts to create, refine, and enhance WSO2’s corporate reference architecture and spearheads the thought leadership outlook that defines WSO2’s corporate reference methodology for development, customer success, and implementation. Working closely with customers, partners, and analysts, he will continue to evangelize WSO2’s technology vision as in his previous role as VP of Solutions Architecture through which he gained extensive customer consulting experience and in-depth knowledge of solution architecture. 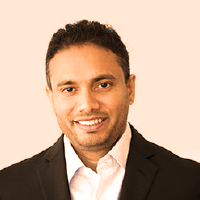 Asanka has over 20 years of industry experience, which include designing and implementing highly scalable distributed systems, SOAs and microservice architectures in the financial domain, mobile platforms, and various business integration solutions.